"The first thing you need to know is I'm not Chinese. My name is Raymond Wong and I stopped being Chinese at the age of five." Raymond Wong wants to forget his past: a charming, conniving, and controlling Chinese mother, a father who hasn't so much as written him a letter in 28 years, a stepfather who never sees him as a son, a childhood rife with ridicule and bullying from American kids, and the pain of being an outcast in his own family. Raymond goes back to Hong Kong with the mother he has always pushed away, a woman who represents everything he wants to disown. He meets a father he doesn't recognize and can't talk to because they speak different languages. He encounters a people and a country as foreign as the Cantonese he can no longer comprehend. 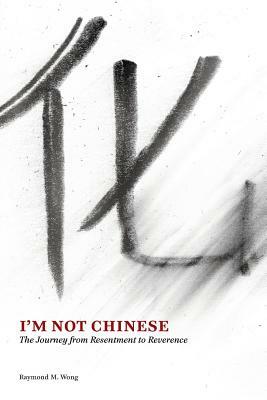 I'm Not Chinese: The Journey from Resentment to Reverence is about a man who has spent his life running from his culture, his family, himself-and what happens when he is forced to stop running.